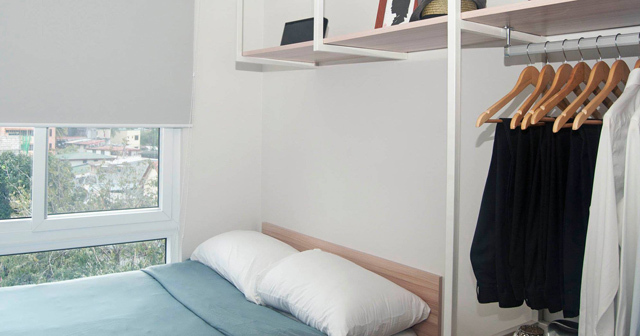 You can live in a designer unit in a major CBD at a low cost. Read on to discover these new micro-studios. Young urban professionals and students often have difficulty finding a decent condo unit or apartment to rent. Finding a unit that’s stylish, secure, in a safe neighborhood, near your place of work (the traffic situation leaves us no choice), and has affordable rent is like looking for the Holy Grail. 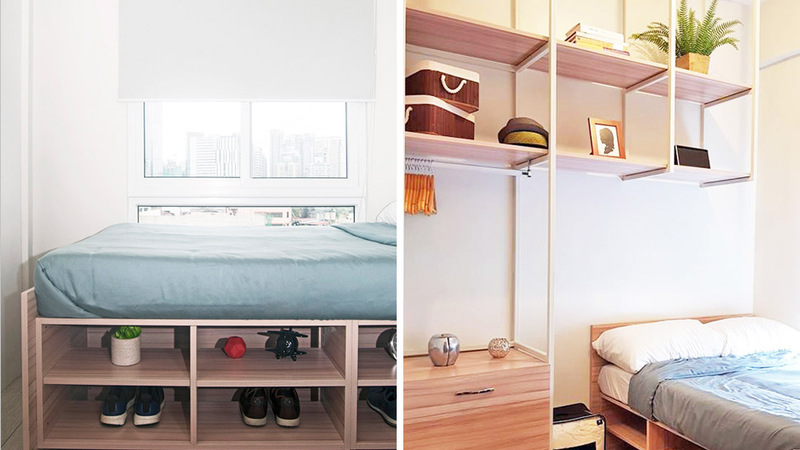 But thankfully, micro-studios are now slowly creeping into the Pinoy real estate market. 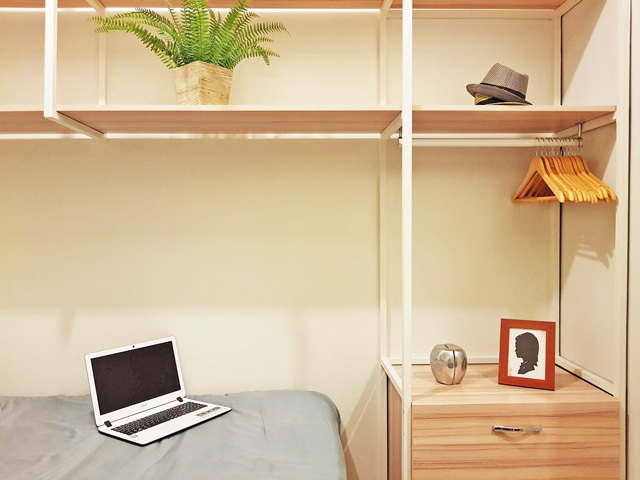 A micro-studio or micro-apartment is a self-contained, one-room space with living, sleeping, and bath amenities with a floor area of at least 32sqm or less. 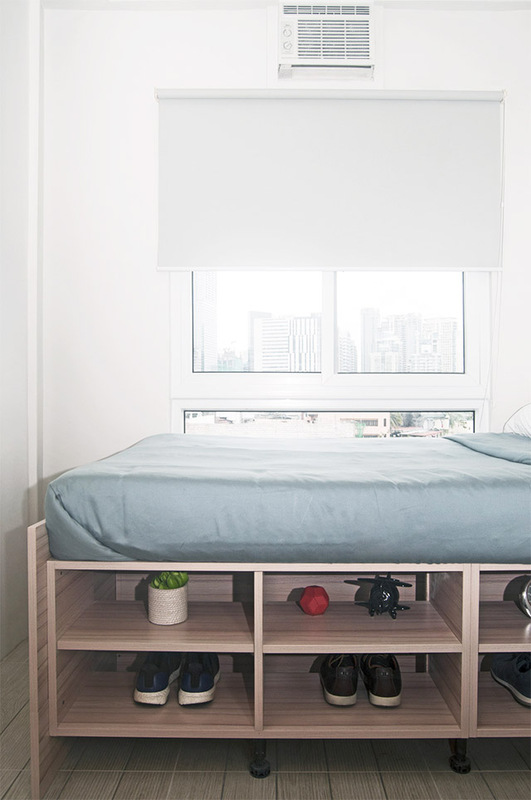 One recent player in the micro-studio market is Point Blue, which opened its first project in Guadalupe, Makati City called Bonifacio Point, a six-storey, 69-unit micro-studio building that is a few minutes away from Bonifacio Global City. 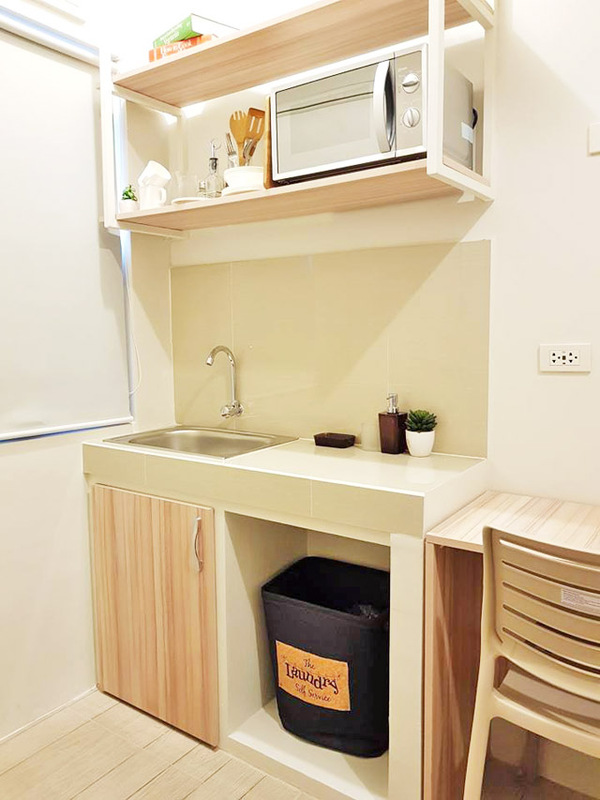 Each well-ventilated unit measures 11sqm or more, and comes fully fitted with sleek, modern interiors that include a bed with a six-inch mattress, underbed and hanging storage, drawers, desk and chair, air conditioner, water heater, and bidet—no need to buy new furniture. 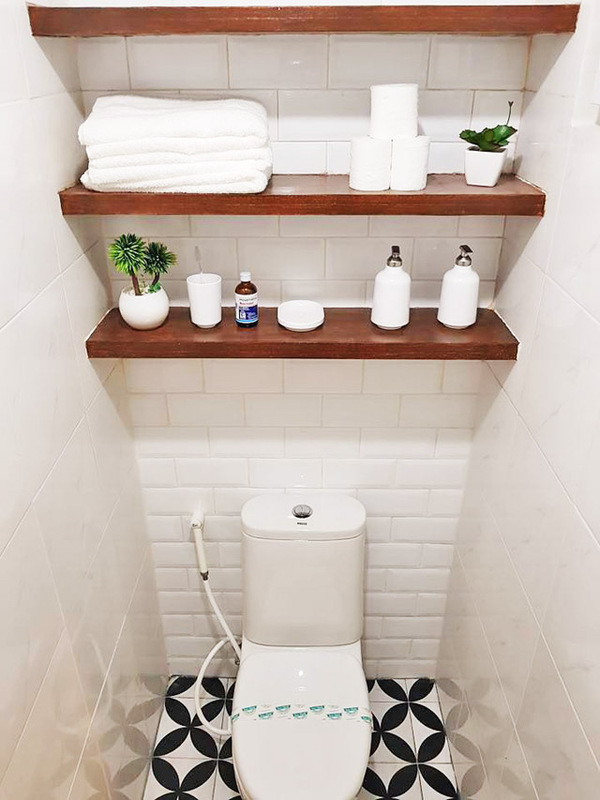 There is also biometric access, ready, high-speed WiFi (comes with the rental price), regular bathroom cleaning, and professional property management. All these features come at only P10,800 to P12,200 a month! 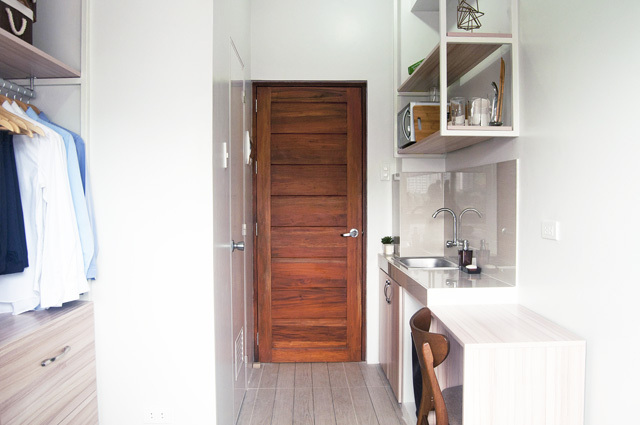 Depending on the layout of the unit, the main door opens to the kitchenette and private bathroom (at left). 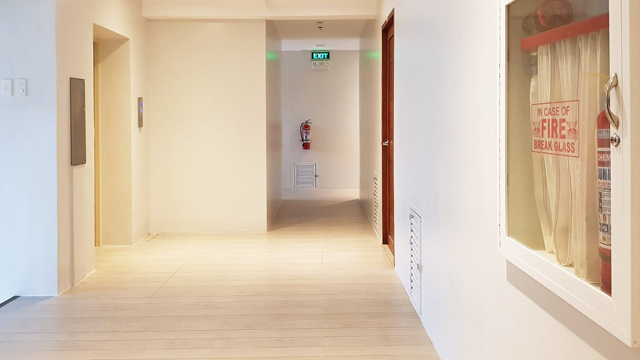 Minimum lease periods are six months; Point Blue is expected to open more micro-studios in South Cembo, San Antonio Village, and Estrella St. (all in Makati City) within the next year or so. Residents are not allowed to cook over an open flame, but you are allowed to use a microwave oven and other electrical appliances. The space below the countertop is for your personal ref. Storage units are integrated into the overall design, and are done in a minimalist-modern style (this forces you not to accumulate too much clutter!). 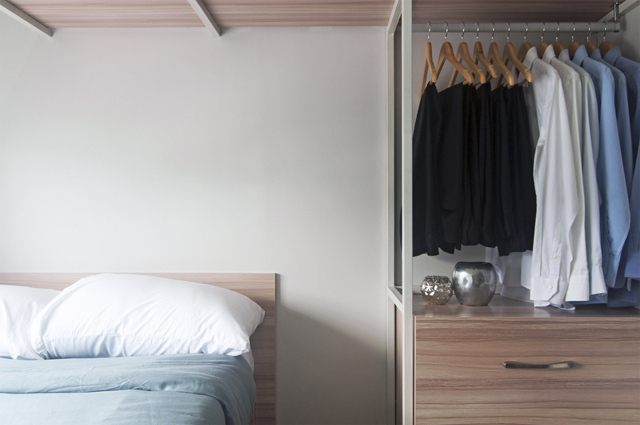 There are drawers beside the sleeping area, and you can hang your other clothes on the bars below the open shelving. Each unit is fitted out with a six-inch mattress with storage cubbies built into the bed base. According to the website, ideally, only one person can rent per unit, but depending on the size, you can share it with another person. Children are not allowed to stay in the units. An Otis elevator ferries residents to clean, airy, and well-lit common hallways. The whole building is fitted out with 32 high-definition surveillance cameras, and biometric access points for security. For more information, follow Point Blue on Facebook or visit their website.